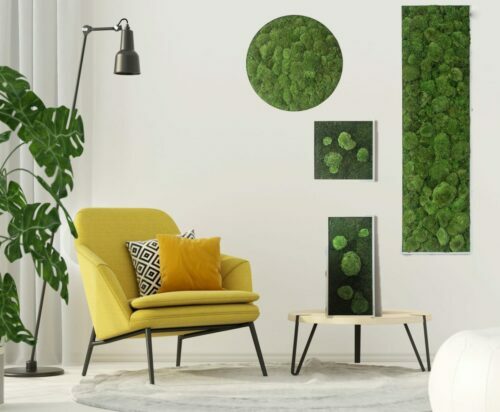 Set unique natural accents in your rooms with NATURADOR® pole moss pictures. Zero maintenance – no water, no fertiliser, no light – permanently beautiful without any care. 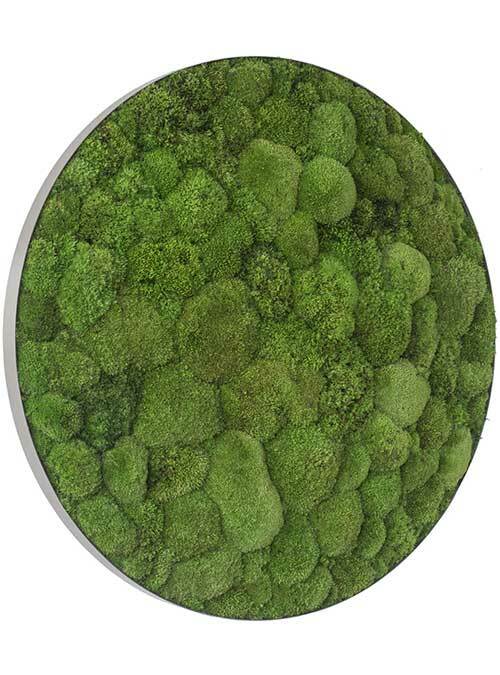 Our round NATURADOR® pole moss pictures are a unique focal point in every room. The hilly structure of the pole moss gives the picture an impressive 3D effect. Three different sizes – from 34 cm to 54 cm or 80 cm – offer an attractive solution for each room situation. Whether single or arranged as a group, the pole moss pictures attract all views. 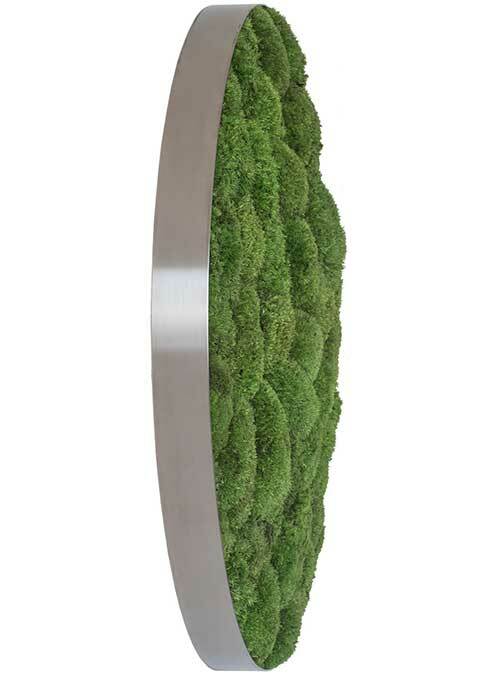 The frame of our pole moss pictures is made of high quality stainless steel. 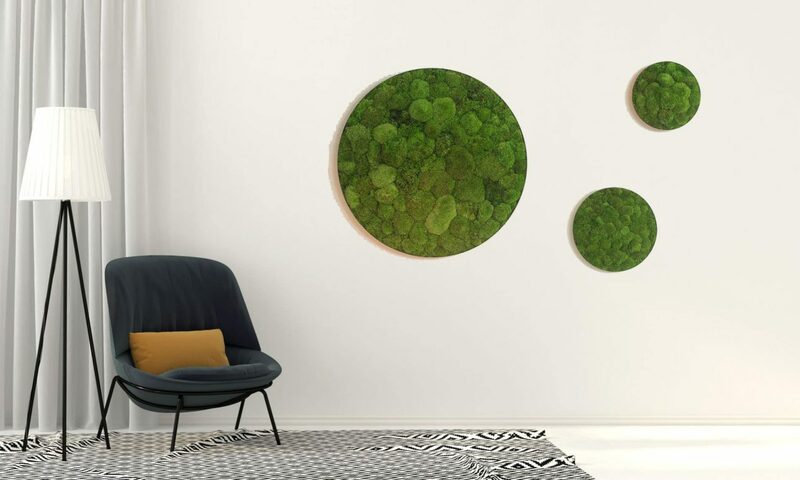 Like with a good painting, permanent, intense UV radiation (sun, strong light), as well as heat or humidity can bleach the lush green colour of your NATURADOR® vertical garden. Therefore please avoid intense sun or UV light, (e.g. halogen spots in little distance), heat (e.g. near radiators, fire places etc.) , extremely dry or moist ambient conditions below 40% and above 80%, water damages the preservation of your vertical garden. 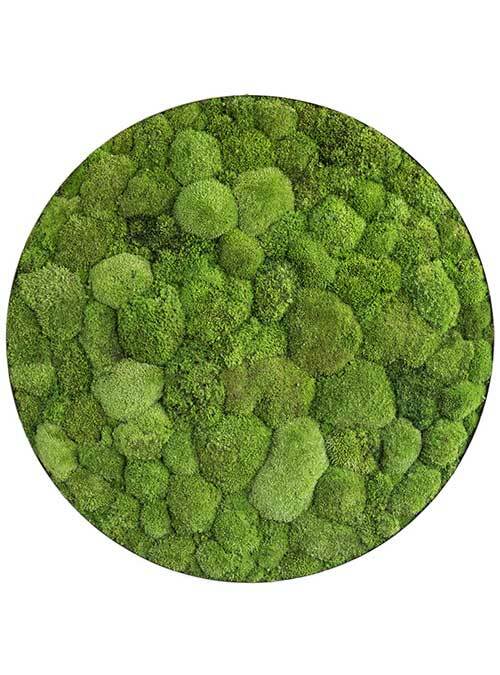 Under strong friction, the moss can release a bit of colour, which, however, can easily be removed with water and soap. Pls use rubber gloves for assembly and wash your hands to avoid colour carry-over. If you stick to these recommendations, your NATURADOR® vertical garden will give you enjoyment for a long time.